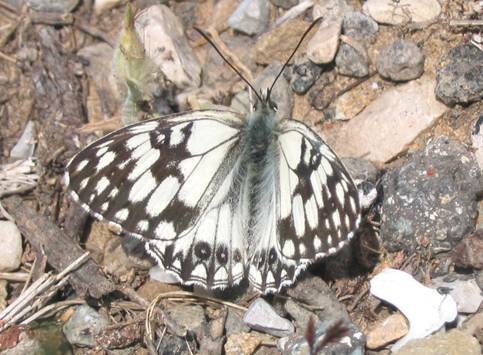 The Western Marbled White is by far the earliest to emerge of the four marbled white species occurring in France, appearing in early May. 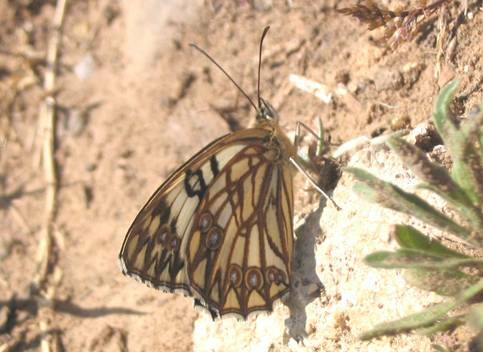 It flies in the grassy, flowery places bordering, or amongst areas of garrigue in Provence. 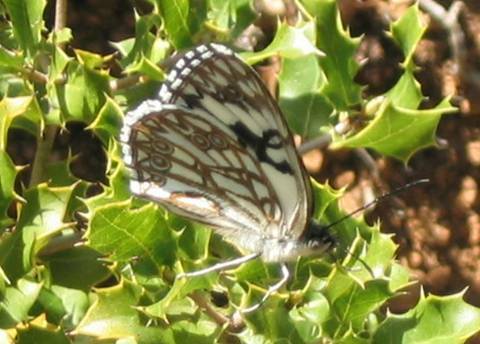 On the uppersides the basal areas are devoid of any dark areas and there is a conspicuous black bar across the cell on the forewing. But it's the undersides which are the most spectacular...the veins are lined in red-brown and the eyespots have splendid blue pupils. This pattern is noticeable in flight.